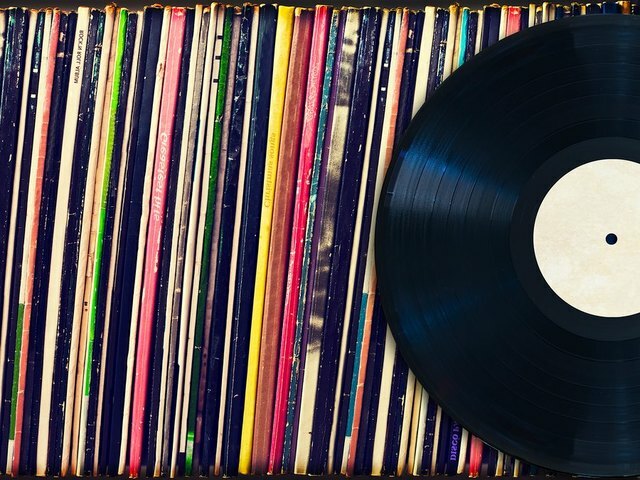 Whether you have come into a sizable collection of vinyl records or you were merely curious about them as they seem to have risen in popularity, it is important to realize that vinyl is a very different substance than what you might be used to with CDs, DVDs or, if you really fancy your retro media, laserdiscs. While the previously mentioned forms of digital media are all composed of a polycarbonate plastic, vinyl records are made from polyvinyl chloride that has been made flexible through a plasticizer; this means that vinyl records are significantly more at risk of warping from high temperatures than digital forms of media, as well as being more prone to developing a static charge. In the decades since the introduction of vinyl records, several tools and techniques have arisen to preserve their quality by doing it yourself. The previously mentioned issue of attracting a static charge comes from the relationship of dust particles and vinyl. The occasional “pop” or “click” generated from playing a well-worn record is the result of the needle passing over statically-charged dust that has settled into the natural grooves of the record. While some vendors may carry vinyl cleaners in their inventory, your best bet is to use a record-safe brush that will collect dust particles with minimum damage to the record’s shape, a plastic-safe cleaning solution and a soft towel to gently work through the grooves. Unlike with CDs and DVDs, that can safely stack up in a pile, the physical construction of vinyl requires that collectors put in a bit more work to maintain their personal record catalogs; piling them up like a traditional CD spindle will result in a warped mass of PVC that will produce nothing but noise when played on a turntable, if even that. Invest in a tall multilevel shelf that can accommodate the width of your records-vinyl should always be stored vertically so as to avoid warping-and that can be positioned well out of the way of solar exposure; ideally, you want to keep your record library in a location that is free of heat and moisture. Furthermore, you should always keep your records in their slipcases when not in use; slipcases are the best way to protect your vinyl from dust and sunlight. Because of its plastic-like nature, a record warps when its shape has been maligned through heat, regular pressure or both. While you can play a record that has been slightly warped, the sound quality will suffer. In addition to the warp-inducing pressure generated from stacking vinyls like they were plates, records can also become pressure-warped from being tightly shrink-wrapped within their album covers. Fortunately, you can avoid this problem by looking into which venues practice this bad habit and shopping elsewhere. While some say that you should fight fire with fire, using heat to soften and mold a warped vinyl record back into alignment is a horrible idea! While you may succeed in leveling out the physical record, the grooves responsible for making music are going to be even worse than before. Records that become sufficiently warped may be known to “skip”-the player’s needle will be pushed backward, resulting in an audio loop. Thickness is a common listed detail with most records. The thicker the disc, the more resilient it is to long-term use. Even though new records are created with a thickness of 180 grams, every play session slightly erodes a record’s durability. Jessica Kane is a writer for SoundStage Direct, the number one online source for the best vinyl records and turntables.